MIA - Eternity Accents Grooved Wedding Ring Available as a tungsten ring, ceramic ring, or cobalt ring, this Eternity Accents Grooved Wedding Ring is a modern piece of jewellery with incredible attention to detail. 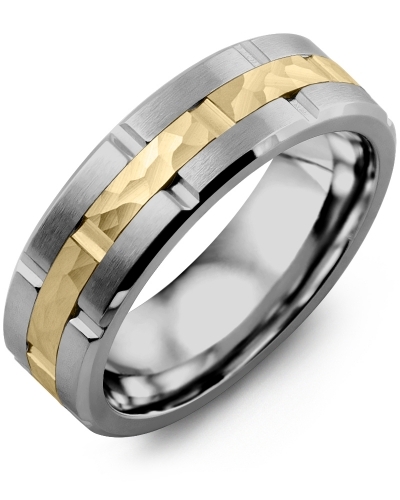 The outer band features wide groove detailing, while the gold insert is abundantly grooved for added dimension. 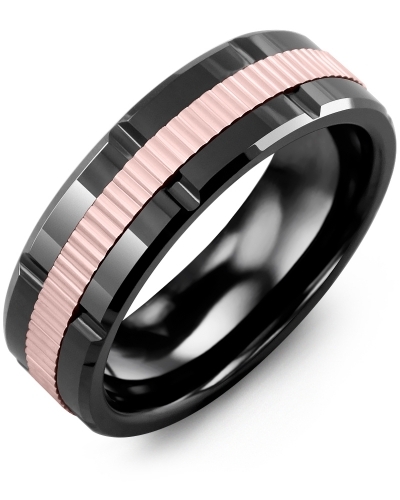 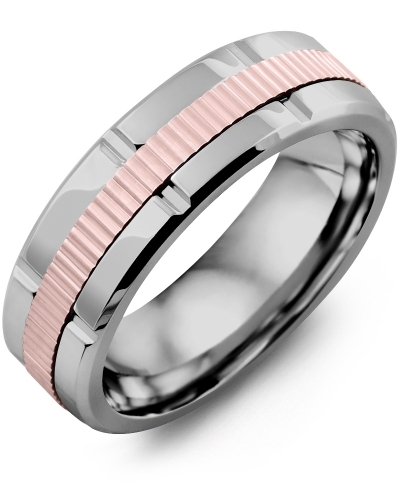 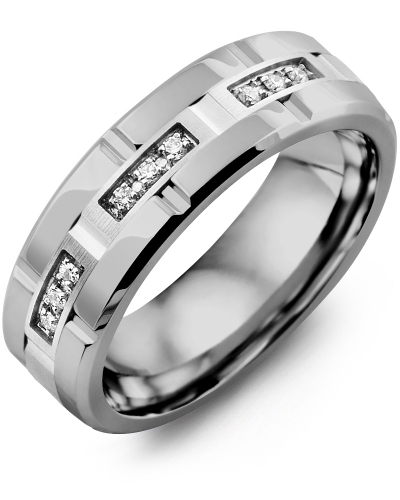 The insert is offered in white, rose or yellow gold, and 10kt, 14kt or 18kt options. 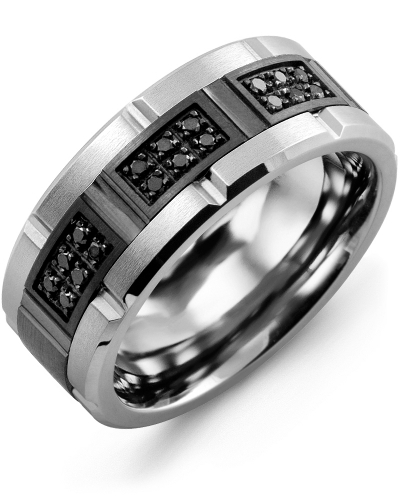 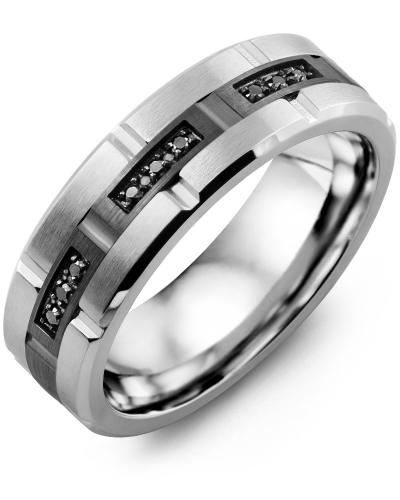 Personalise this 7mm wedding band with our engraving service. Available as a tungsten ring, ceramic ring, or cobalt ring, this Eternity Accents Grooved Wedding Ring is a modern piece of jewellery with incredible attention to detail. The outer band features wide groove detailing, while the gold insert is abundantly grooved for added dimension. 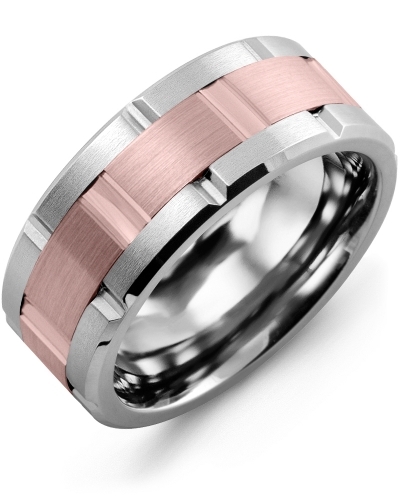 The insert is offered in white, rose or yellow gold, and 10kt, 14kt or 18kt options. 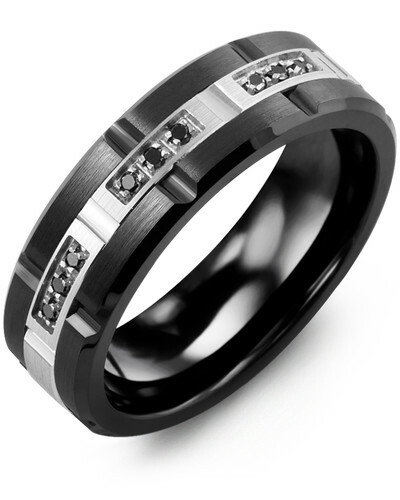 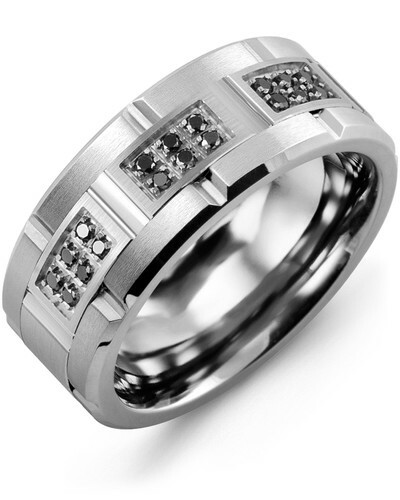 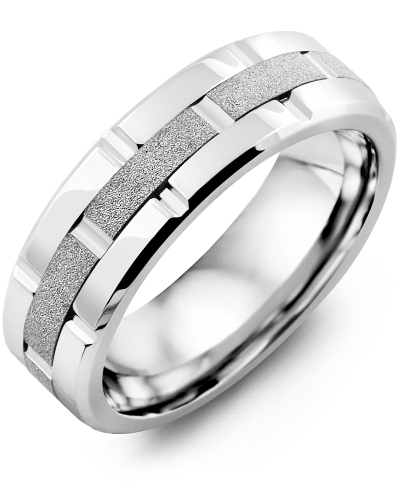 Personalise this 7mm wedding band with our engraving service.